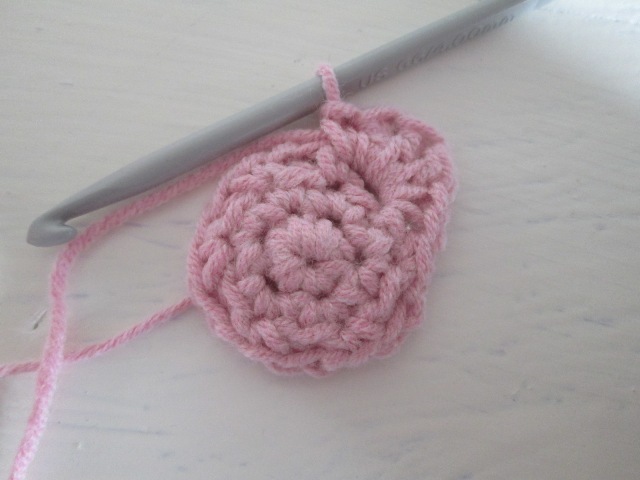 The petals are made by crocheting 1 dc, 2 tr and 1 dc. 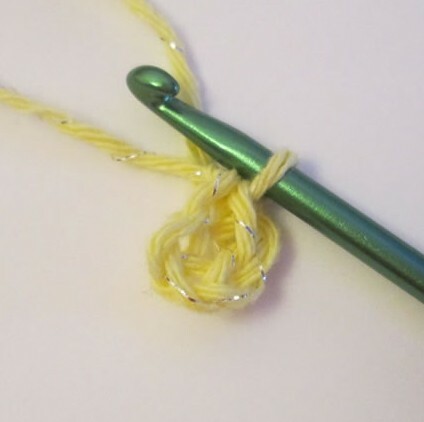 The points are achieved by adding a couple of extra chains between the trebled and slip stitching into the first chain. 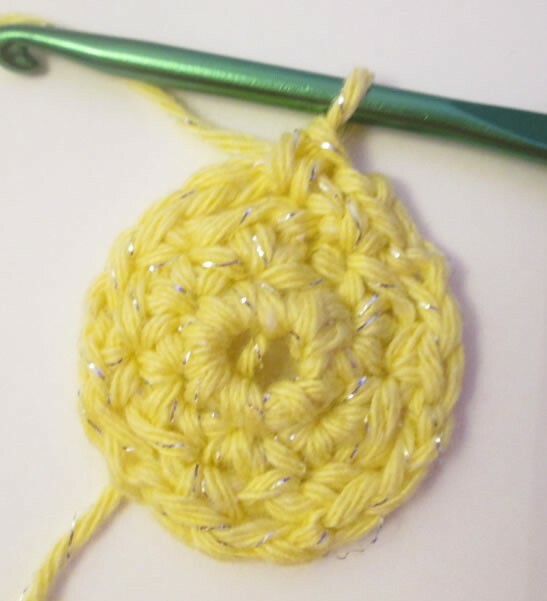 If you are reading this and you are American, please be aware that I have used British crochet terms! 1. 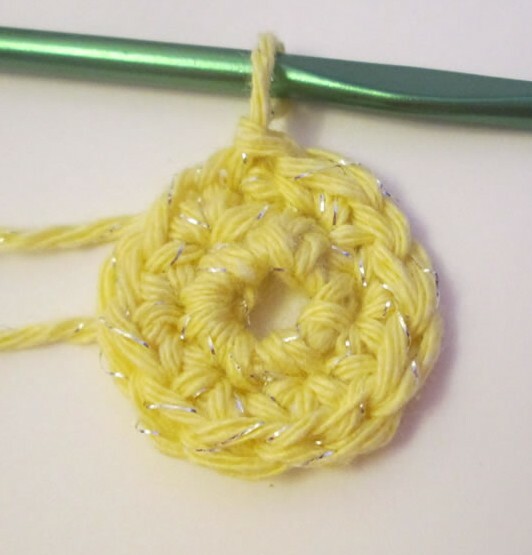 4 ch, join with ss to make a ring. 2. 1 ch,then 6 dc into ring. Join with ss. 6 stitches. 3. 1 ch, then *2 dc into next stitch* 6 times. Join with ss. 12 stitches. 4. 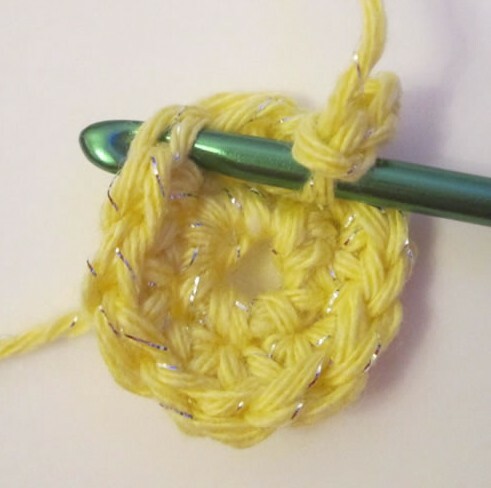 3 ch, skip a stitch, dc into next stitch, *2 ch, skip a stitch, dc into next stitch* 5 times. 5. 1 ch, then into each space made by the chains in the previous round *1 dc, 1 tr, 2 ch, ss into 2nd ch from hook, 1 tr, 1 dc. * Join with ss. 1 dc and you’ve got a petal! 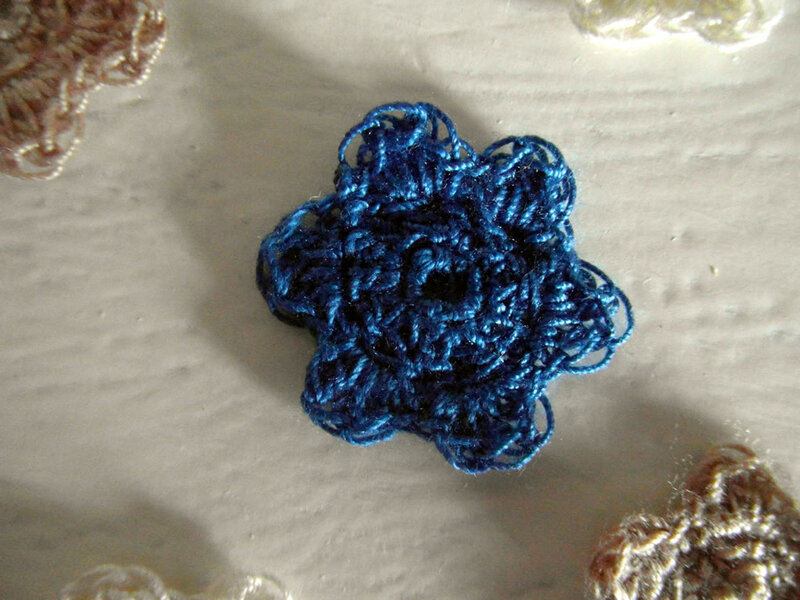 I think I might make a garland with my crocheted flowers. 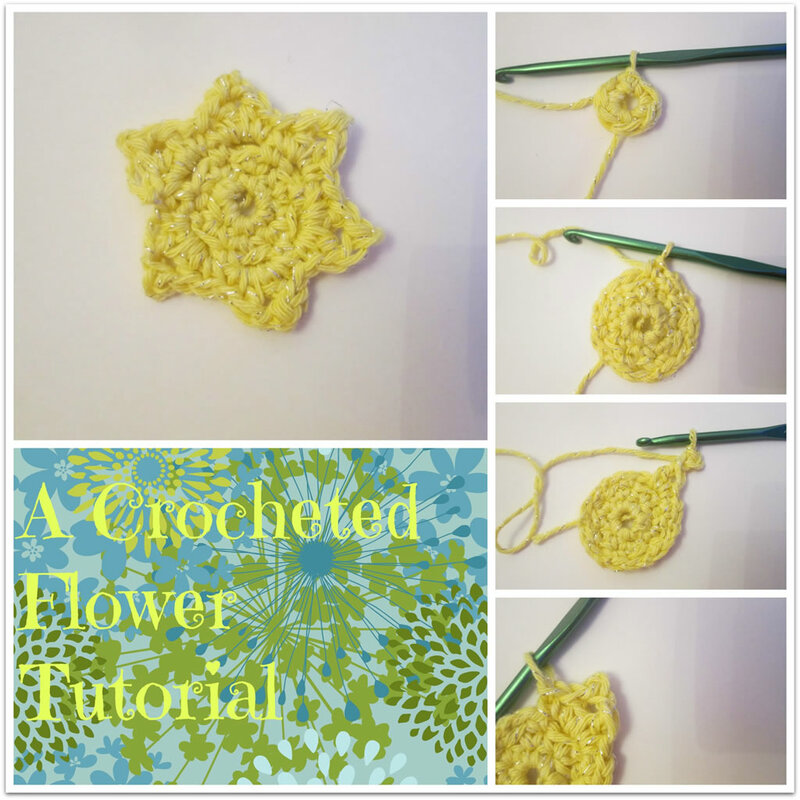 What will you do with the flowers you make? 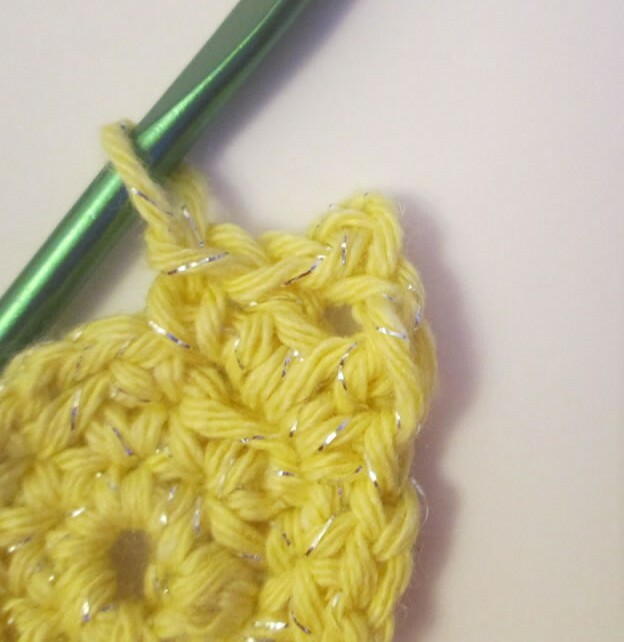 I’ve been crocheting for years but it’s only very recently that I bought a set of crochet hooks. 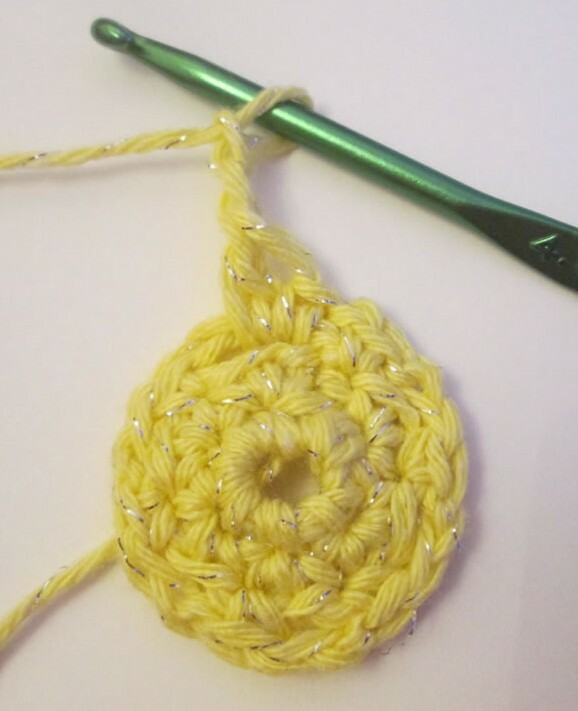 Usually I either manage with the hooks I have (I’ve got three) or I have to go into town to visit the craft shop to get one. All I can say is i can’t believe that I’ve managed so long without a complete set! There are 12 of them, from tiny to very chunky. I’ve got plans for the chunkies but it is becoming less and less scarf weather. 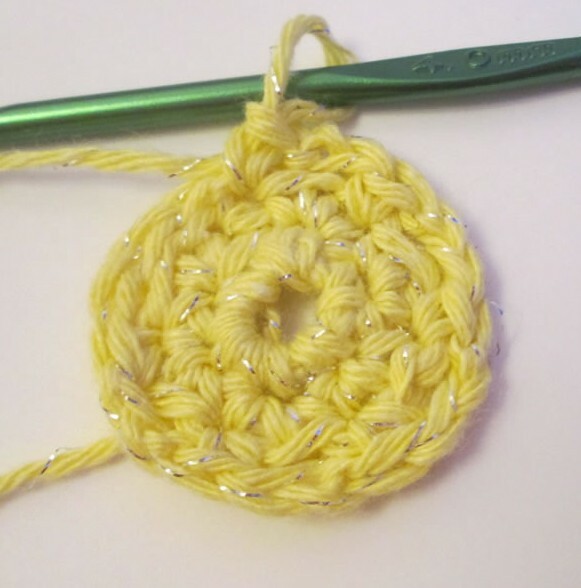 If I was knitting a scarf I would need to start now to have it finished by the autumn but I find crochet much quicker and I hopefully won’t have need of a nice warm scarf in June. 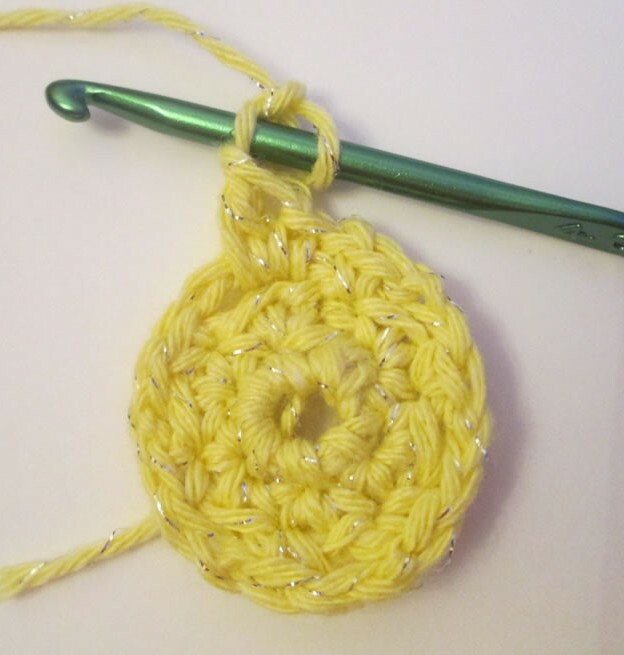 I have some thread that Husband bought me from either Aldi or Lidl, and as I was looking at my shiny new hooks, i decided to try the tiniest hook with this thread. 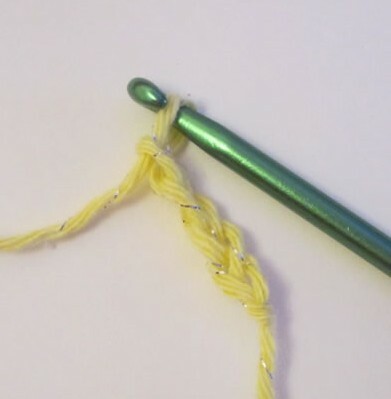 I don’t really know what the thread is actually for, it’s too thick for ordinary sewing, it’s on a disc thing rather than a spool but it’s not like embroidery floss either. 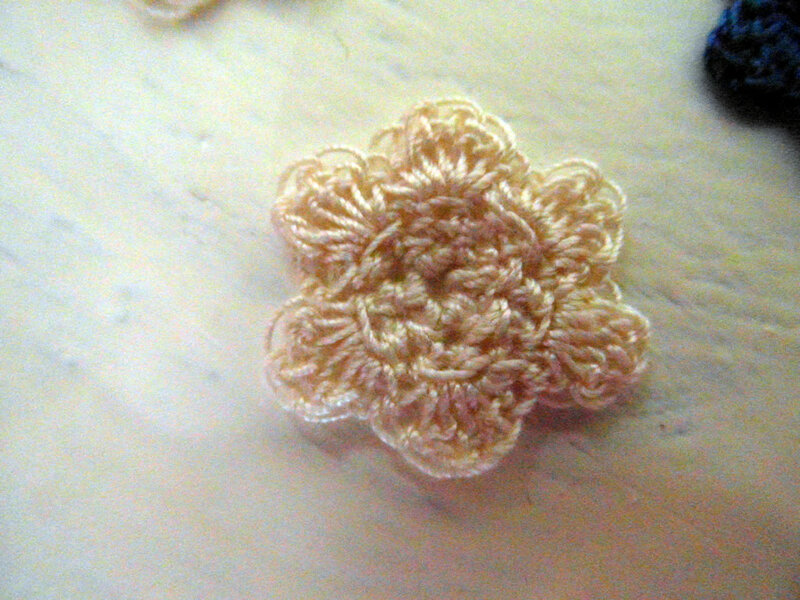 Maybe its purpose is to be used to crochet pretty little lacy things. 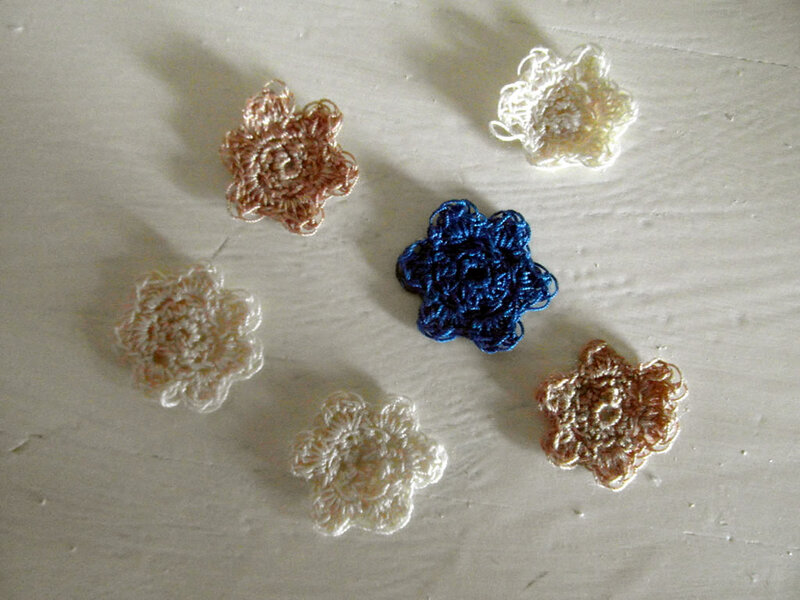 I have made some crocheted lace flowers using the pattern that I posted about previously. 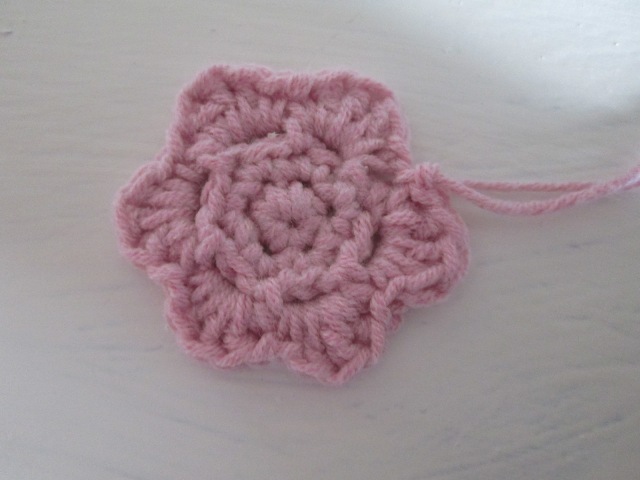 It was a bit fiddly and the first one I made ended up with 7 petals. I’m not sure how that happened! Also energy saving light bulbs might be good for the planet but they’re not great for seeing by, which didn’t help as all the spaces in the tiny flowers were also tiny. I’m pleased with the results though. 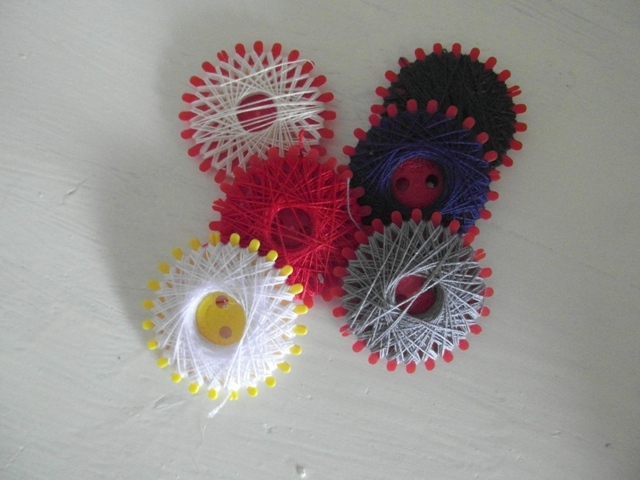 I might turn some of them into jewellery or I could sew them onto something, a top or a wristband or something. I’ve also got plans to experiment with edgings. 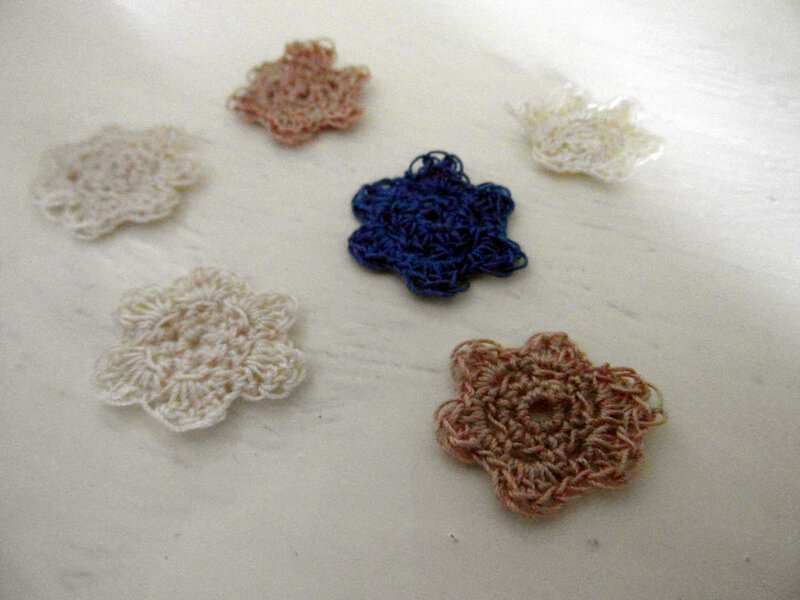 We could end up with quite a lot of frilly stuff! Boy 3’s preschool’s Easter Fair is now less than a week away and I’ve pretty much finished the crayon rolls. 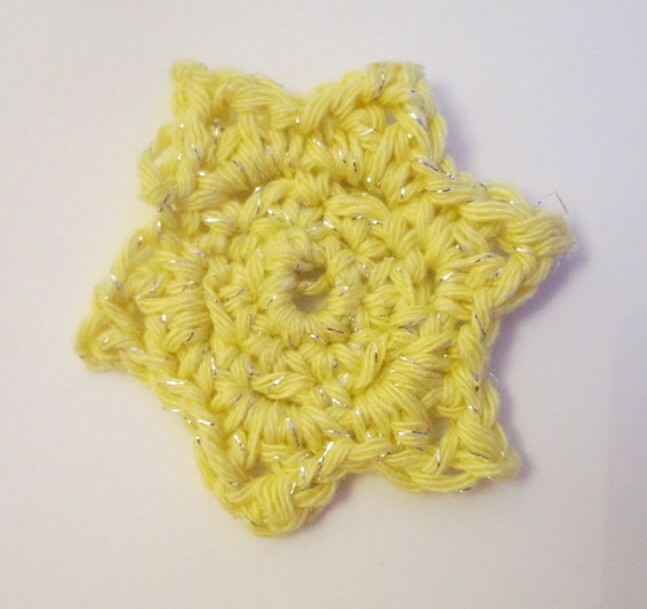 I had a list of other things I was going to make, but off the list I have only managed to make some hair bobbles, these crocheted ones and also some fabric ones. I’m not feeling too guilty though, I’ve got raffle prizes I’ve been saving since Christmas ;). 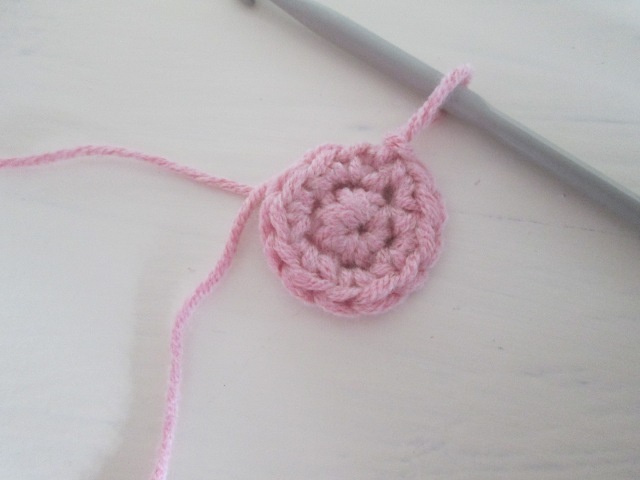 I’m pleased with how the crocheted flower hair bobbles have turned out, not least because this is the first time I have crocheted something from a pattern I have devised myself. I made three pink ones and three purple. The yarn was left over from another project and the button was a spare that came attached to a cardigan I bought a year or two ago. 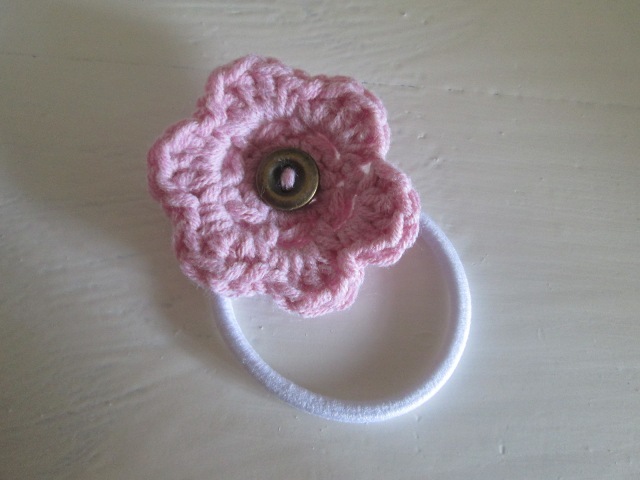 It only took me a few minutes to make, then I just added the button and sewed them onto the hair elastic. 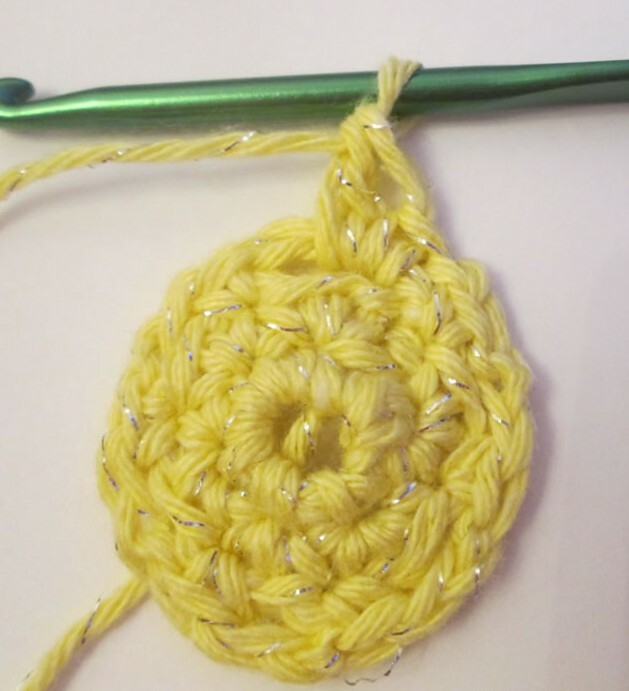 So crochet hooks at the ready, here’s how to make it! 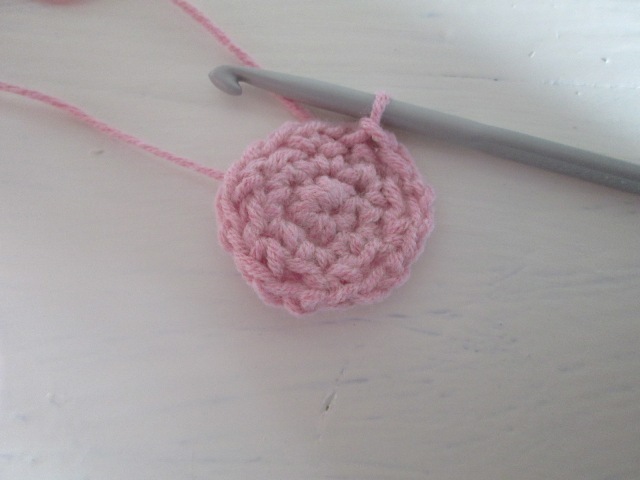 I used a 4mm crochet hook and dk cotton yarn. 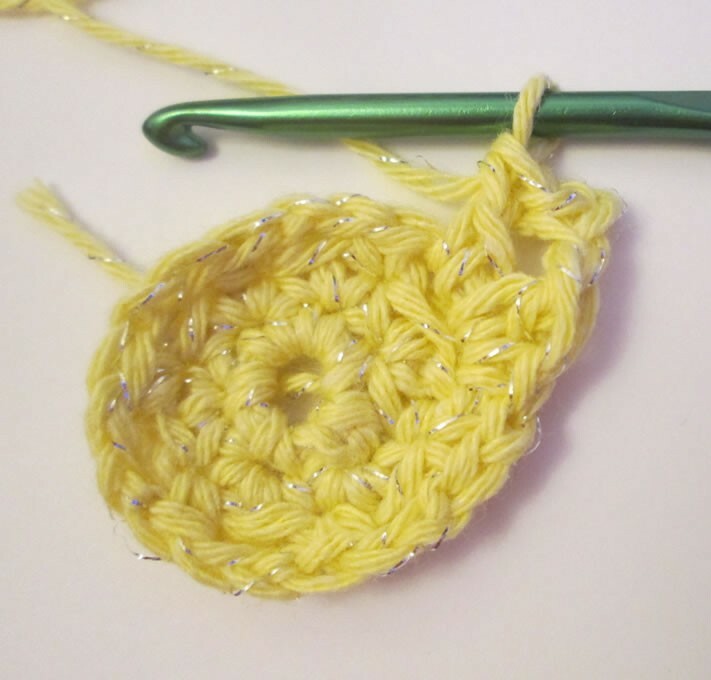 If you are used to American terminology in crochet patterns, pleased be warned that I have used English ones here! Round 1: 6 dc into a magic ring, join with ss or 4 ch, join with ss, 6 dc into ring, join with ss. Round 2: 1 ch, then 2 dc into 1st dc from previous round. *2 dc into next dc. Repeat from * 4 times. Join with ss. 12 stitches. Round 3: 3 ch, skip 1 dc, dc into next dc. *2 ch, skip 1 dc, dc into next dc. Repeat 4 times. Round 4: Into 2 ch space, *1 dc, 3 tr, 1 dc. This makes 1 petal. Repeat from * into next 2 chain space. Repeat 4 more times. 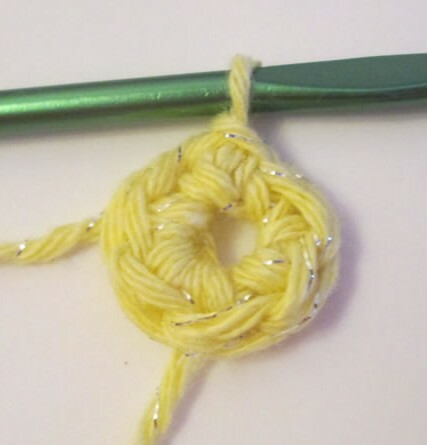 Add a button or a bead and attach to a hair elastic. There’s probably lots of other ways these little flowers could be used, I’d love to see what you do!